It's the month of March already. Boy, that was fast. I kind of miss Febbuary now but since it's a new month, it's time for new posts and new goals. My first post of the month will be about Pastamania. 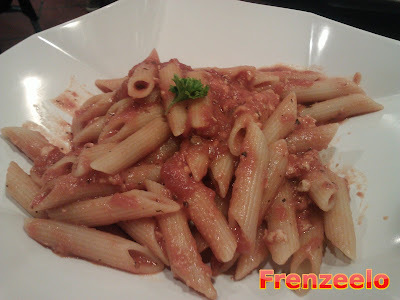 Pastamania is Singapore's most popular pasta oriented restaurant. Unlike other restaurants, Pastamania uses this concept called Quick Casual which is like a mixture of a fast food restaurant and a regular restaurant. When you enter the place, you place your order at the counter instead of a waiter and you wait for the food to arrive at your table. Sure, it may be slightly inconvenient but you don't have to pay the 10% service charge normally charged at a typical restaurant. The food's great and the ambience is great. 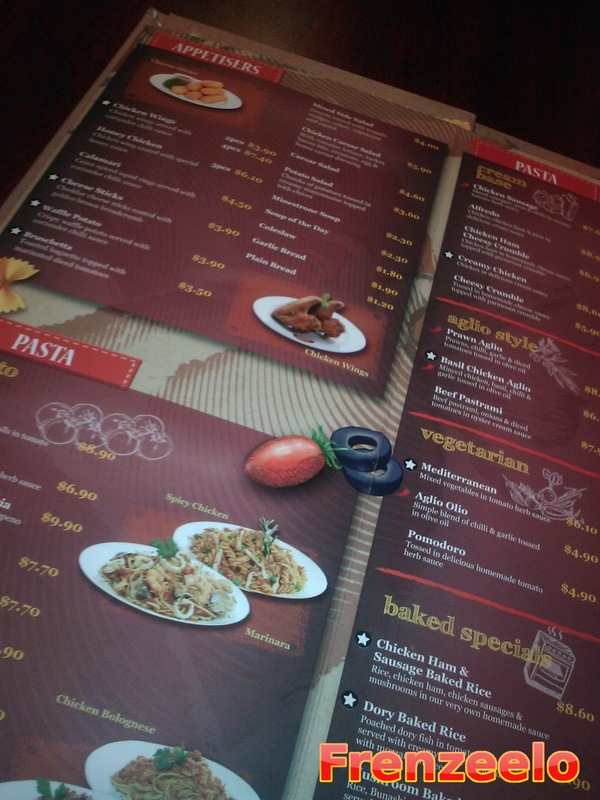 Here's a sneak peek of how the menu of Pastamania will look like. 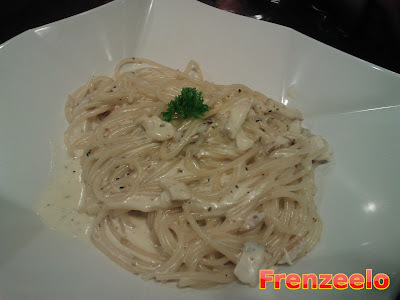 Pastamania's pastas are affordable although the problem with Pastamania is that the quantity is quite little. So if you want to have big portions, get your pasta from somewhere else. Otherwise, if you wanna have a quick lunch or dinner, this is the place for you. Other than just pastas, you can also get some pizzas, desserts and delicious appetisers too. There are a few ways you can order your pasta dishes. You can choose which kind of pasta you want such as Fusili, Spaghetti and more. Or you can get the default pasta which comes with the dish. Then, you can add a combo with your dish. Combo A entitles you to soup, garlic bread and drink for S$4.90, Combo B entitles you to soup and drink for S$3.70 and Combo C entitles you to garlic bread and drink for S$3.30. Personally, I prefer Combo A as I get to have the best of both of worlds. Oh and yeah that's on top of the price of the pasta dish. Here's how the soups look like. One is Minestrone Soup the other one is Soup of the Day. I don't get why restaurants and food establishments like to name it Soup of the Day. Can't they just call it by the specific name like Chicken Soup or Mushroom Soup or Chicken Mushroom Soup? It's kind of like Mystery Meat. Anyway, the soups were great. 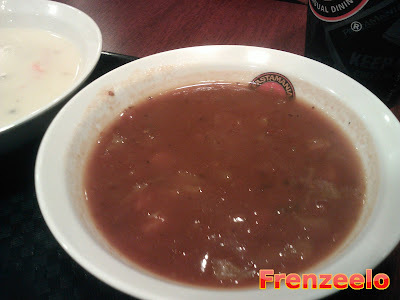 The Minestrone Soup has onions, diced tomatoes and has that nice chunky tomato taste. It's slightly salty and flavourful just the way I like it. I like the other soup better though. This is Chicken Soup and has diced carrots and tiny chunks of chicken in it. Not as chunky as Minestrone Soup but it will do. These are the appetisers. The one on top is the Garlic Bread that comes with the combo and the bottom one is Waffle Potatoes. 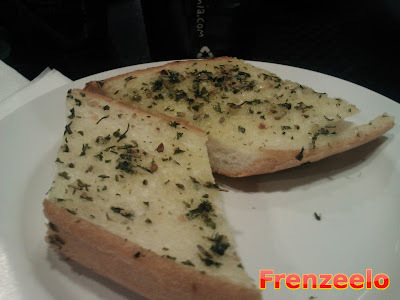 The Garlic Bread is good although it's nothing special. It doesn't have that creamy buttery taste which I like. The bread is kind of like slightly buttered with garlic butter. I prefer it to be creamier sort of like Pizza Hut's. Waffle Fries were great. I love the Waffle Fries. 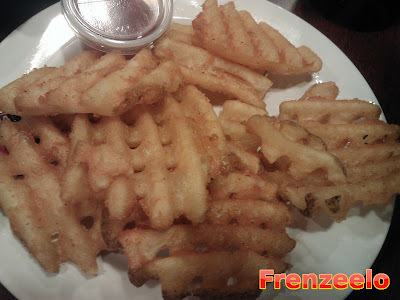 Even though in Pastamania it's called Waffle Potato, I want to call it Waffle Fries because that's the proper name for it. Everytime if there's a restaurant serving these fries, I must have it. Pastamania's version was great as it's crispy and lightly salted. No different than those you can find in the supermarket Frozen section. Comes with dips for your dipping pleasure. There are more appetisers available at Pastamania so feel free to add them to complement your pasta dishes. Here come the pastas. The pasta that I had was this. 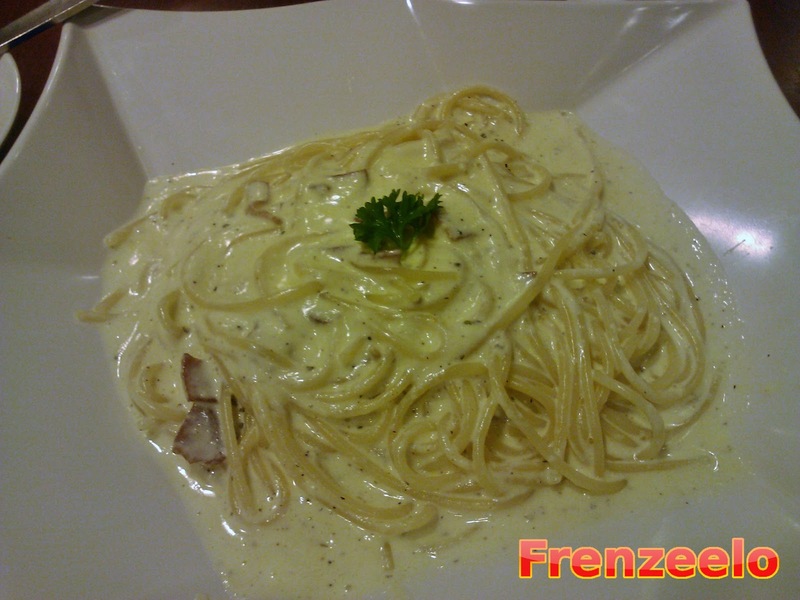 This is the Carbonara Spaghetti. This dish contains pieces of turkey bacon, parmesan, egg and cream. My kind of pastas are always cream-based. Although, cream-based pastas are not entirely healthy but I don't mind because it's not like I eat it everyday right? If you wanna eat at a restaurant, feel free to get something sinful just don't have it everyday. The Carbonara is simple yet it's creamy and delicious. The turkey bacon slices were pretty tiny but what do you expect from a Quick Casual restaurant? It doesn't really have lots of toppings and the serving size was pretty small. For a pasta like this, the price is quite steep. Overall, it's okay, I guess. The next pasta, which my sister got, was the Chicken Bolognese Penne. Or was it the Beef Bolognese. Wait, I'm not so sure if it's chicken or beef. Anyway, this pasta looks and tastes okay. Though I'm not really a fan of Penne pasta as it makes me think that the pasta is very little. I prefer my pasta to be either Fusili or Spaghetti. This pasta is nothing special I prefer you get the one with meatballs because it makes the pasta much tastier. So, don't get this, get the one with meatballs. Lastly, it's the pasta my mum got which was the Creamy Chicken Spaghetti. It's pretty much the same as my pasta but this one has pieces of chicken in it rather than pieces of turkey bacon. Even though both look the same, the cream in this pasta was tastier and has a slightly whiter colour. My Carbonara pasta was slightly yellowish. I prefer this actually than the one that I got. The chicken pieces were okay and the serving was like all the other dishes. It's pretty okay overall. This is the drink. Nothing special to see here folks. There are a wide range of soft drinks to choose from. There's the usual Coke and Sprite and there's also hot drinks like coffee or tea. More drinks can be found in the restaurant. I don't know which drinks will cost you extra and I believe you can upsize your drink. Desserts like the Apple Crumble Pizza and the Banana Dessert Pizza are also available to spice up your restaurant visit. 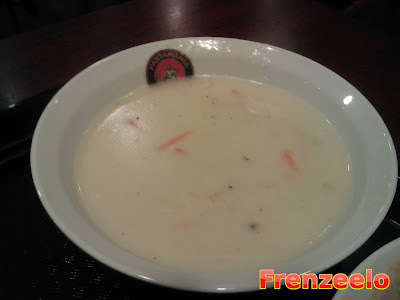 Pastamania is a great place for a quick and affordable lunch or dinner. Pastamania is also a great place for inexpensive dishes provided that you don't mind the small portions and the order-it-yourself process. Bring your date, friends or family along if you want to come and dine here. If you're not a fan of pastas, there's a range of pizzas, baked rice and appetisers. Overall, the food's not that bad but if you're willing to spend more for better quality pastas, look somewhere else. Pastamania is available almost everywhere especially shopping malls. 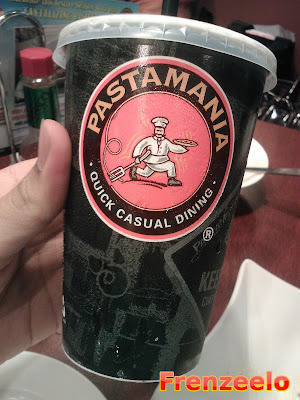 The Pastamania that I dined in was at Hougang Mall just right beside McDonald's. 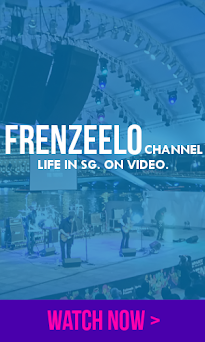 All about life in the sunny city state of Singapore. Articles, videos, infographics and more. You name it, we have it.